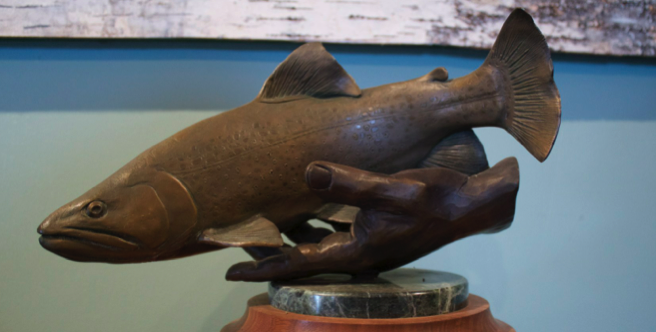 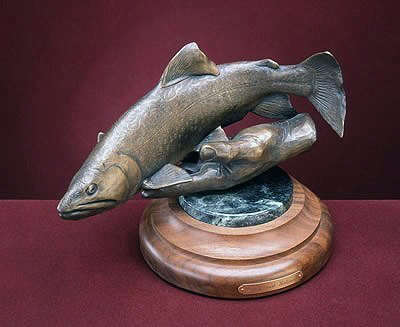 Bronze Brook Trout on Walnut base with inlaid Jade Marble. 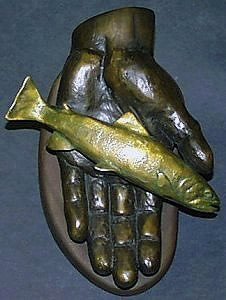 Bronze of the hand of a small boy holding a Brook Parr, mounted on a Walnut Base. 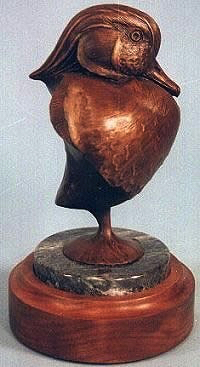 Bronze Bust of Woodduck on a Walnut Turn-Table Base with inlaid Jade Marble.